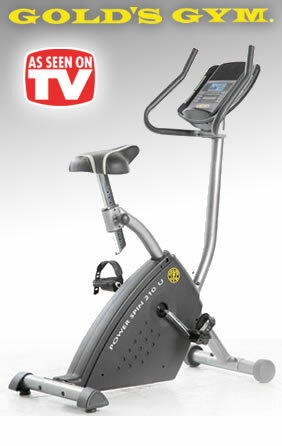 Gold’s Gym exercise bikes are a great choice if you’re looking for an affordably priced but full-featured exercise cycle. Gold’s Gym exercise bikes are an superior choice if you’re looking for affordable fitness machines that offer the essential features you need to get a great workout without adding a lot of unnecessary and expensive extras. 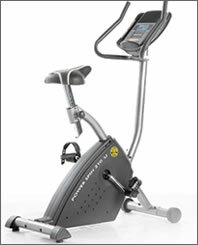 Gold's Gym exercise bikes offer numerous innovative features and benefits such as multiple personal trainer workouts, extra-comfortable seats, easily viewable LCD displays that track and display your important stats, adjustable resistance, dual-grip PowerPulse heart rate monitors, target pacer functionality, iPod connectivity and built-in sound systems, built-in CoolAire cooling fans, sturdy frames, and durable construction. 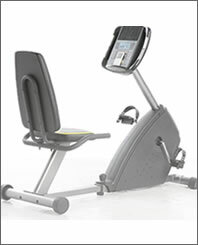 If you're serious about getting into better shape and staying fit Gold's Gym offers the affordable exercise bike solution you've been looking for.